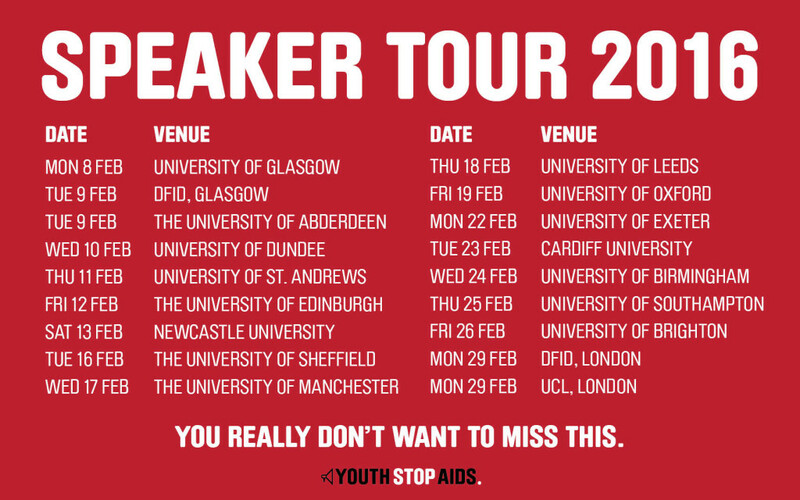 The Youth Stop AIDS #speakertour2016 is landing in Manchester on Wednesday, 17th February. With 22 events across Scotland, England and Wales, the tour aims to inspire young people by presenting the first-hand experiences of people living with currently incurable infections. It aims to encourage young people to become active citizens and make a change in society. Manchester Youth Stop AIDS society is really excited to host the speaker tour. It will be an amazing opportunity for students, staff, and the local community to hear about the incredible work of Youth Stop AIDS and to listen to the stories of those affected by the virus. We hope that it will inspire even more people to join in with the Youth Stop AIDS movement and to help make AIDS a thing of the past. On Wednesday at 2.30pm in University Place room 4.205, we will be able to listen to George and Brian talk about their own personal experiences of living with HIV. They have been joined by Robbie Lawlor at previous stages throughout their tour and have been able to promote the event on local news and radio stations across the UK. Here is a quote from Robbie Lawlor whilst being interviewed by Pride Radio: ‘We know how to end AIDS, we know how to end new HIV infections, it’s such an injustice that people aren’t given access to these drugs…we need everybody to start talking about HIV again’: http://bit.ly/1VhkwHr. The current system for developing new drugs is not working. There is no incentive for pharmaceutical companies to create new drugs or compete with the current drugs that are available, even if these are too expensive for people to afford. This is the basis of Youth Stop AIDS’ #missingmedicines campaign which highlights the fact that access to necessary medication can really be the difference between life and death for many people. Many HIV+ people, however, cannot afford this treatment. Involvement in the #missingmedicines campaign can facilitate the change required that could lead to accessible and affordable treatment for all those living with HIV and also those with other infections that are currently affected by unethical drug research and development processes. 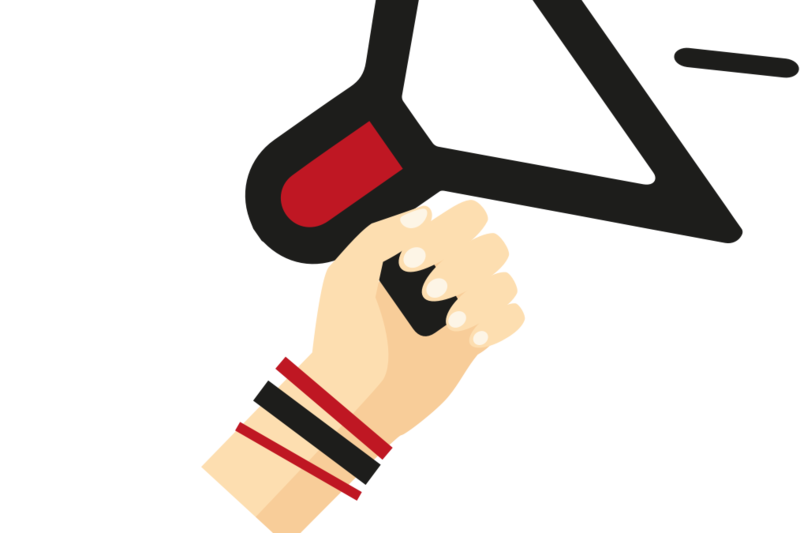 Have you been inspired to get involved and support the missing medicines campaign and attend the speaker tour? You can register for this free event here: https://www.eventbrite.com/e/youth-stop-aids-speaker-tour-2016-manchester-tickets-20923613090…and find out more about the tour or join in the action of Youth Stop AIDS click here: http://youthstopaids.org/missing-medicines/. By supporting the speaker tour and getting involved in Youth Stop AIDS we can end AIDS by 2030!